A tank based on the SU-122-44, a Soviet Self-propelled gun prototype. 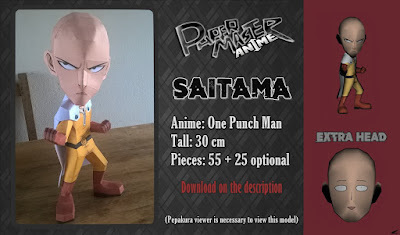 Here's a chibi Saitama papercraft from the highly popular OnePunch-Man anime. 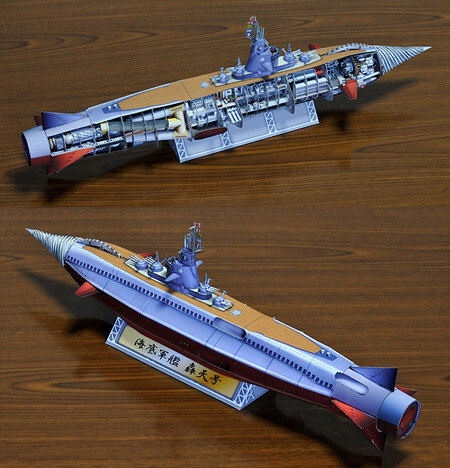 Model by Ravamaster. 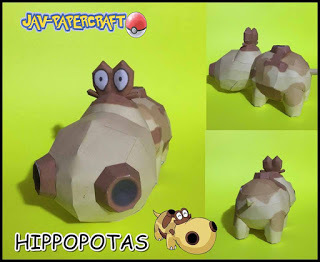 Hippopotas is a ground-type Pokémon that evolves into Hippowdon. 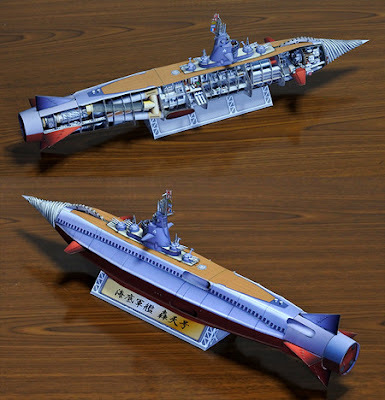 The Gotengo ("Roaring Heaven"), also known in the West as Atragon, is a fictional submarine battleship that has appeared in several tokusatsu films of Toho Company, Ltd., beginning with Atragon in 1963. 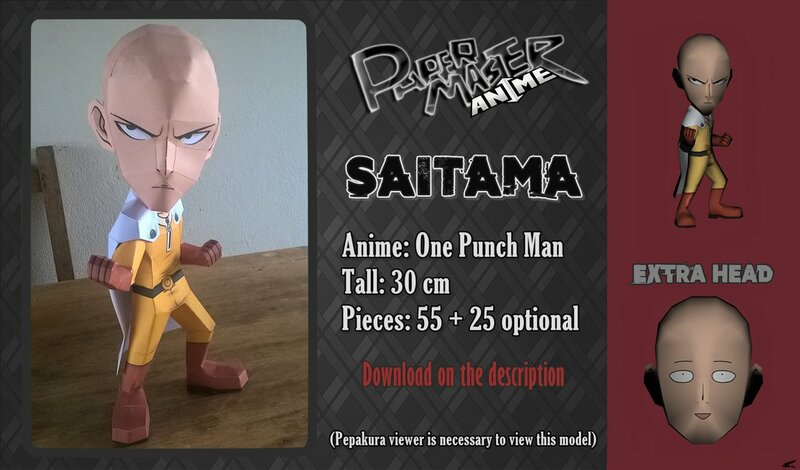 The model consists of 19 pages of colored parts of which most are very tiny. A papercraft model from Osomatsu-san, a 2015 television anime series based on Fujio Akatsuka's Osomatsu-kun manga series. 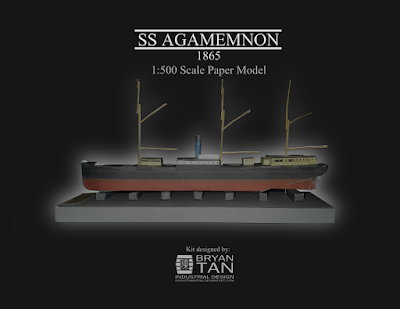 A ship papercraft based on SS Agamemnon, one of the first successful long-distance merchant steamships. She was built in 1865. 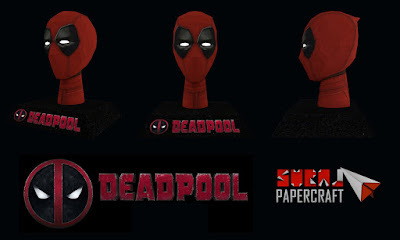 Just in time for the movie. 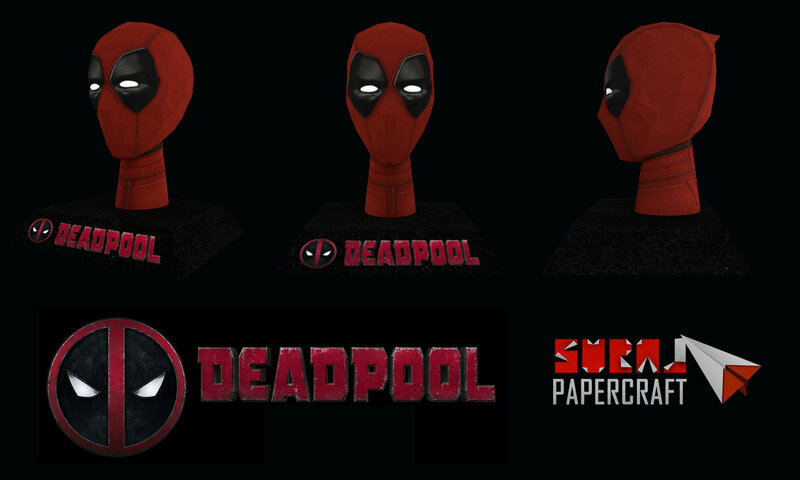 Here's a Deadpool head papercraft by Suraj. Valentine's day is fast approaching. To celebrate the day of love, the guys at Dewmuffins have created a special paper toy that combines the art of papercraft and love. 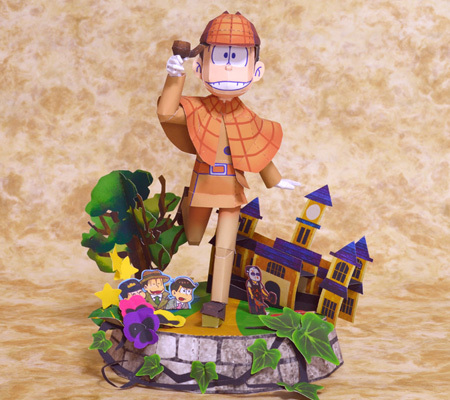 The template comes with two figures, the first is for you to keep and the second is to give to someone special this Valentine's Day. 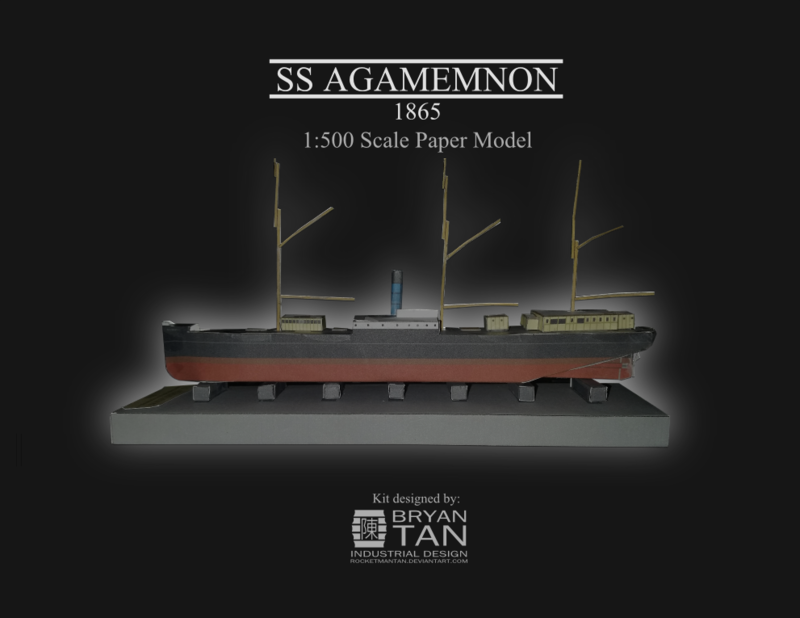 The two paper toys are modular by design. When placed together they make one unit signifying the power of unity and love. 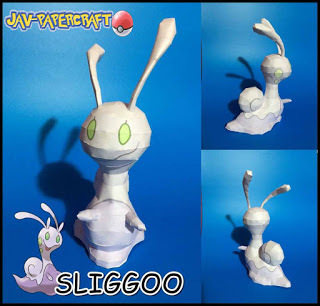 Sliggoo is a dragon-type Pokémon that evolves from Goomy and into its final form Goodra. 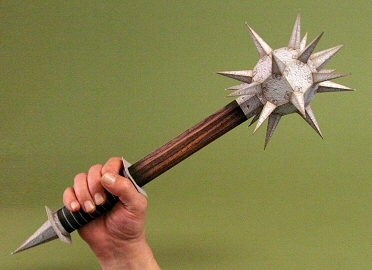 A medieval-themed weapon morning star by Ravensblight.